Mesothelioma is an aggressive form of cancer that destroys the protective tissues around its victims’ lungs, abdomen, and heart. 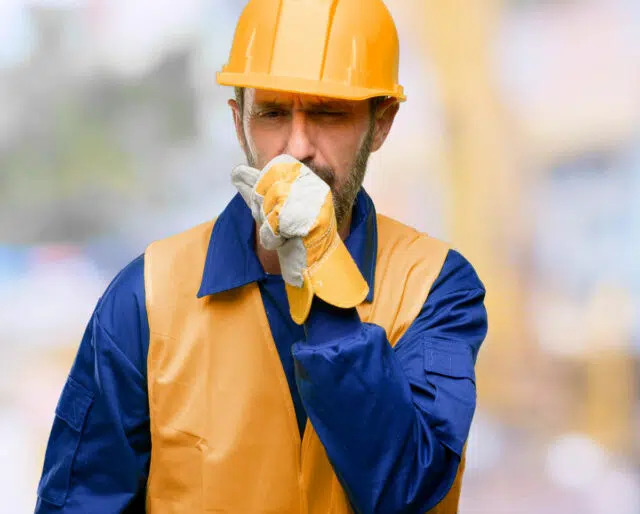 The disease is directly linked to the inhalation of asbestos fibers, and most commonly diagnosed in construction and industry workers who have worked with asbestos products. In 2010 Congress established National Mesothelioma Awareness Day to educate Americans affected by, or in danger of being affected by, asbestos. Despite improved education, over 1.3 million American workers remain in contact with the toxic mineral in their workplace, resulting in thousands of new mesothelioma diagnoses every year. Those affected by mesothelioma should speak with a legal representative to see whether their employer is liable. The Meso Foundation is dedicated to eradicating mesothelioma, and spreading awareness of its impacts and root causes. The foundation is a principal advocate for sufferers and their families. Seek legal counsel if you are affected by mesothelioma - not only for yourself, but also for fellow and future sufferers. The more employees make it clear that exposure to asbestos is unacceptable, the costlier the practice becomes to employers. Search "faces of mesothelioma" to get a personal insight on how the disease affects its sufferers and their families. Despite the demonstrable harm it causes workers, asbestos is still legal in the United States and available in over 3,000 commercially available products. The idea that asbestos only affects those who work with it for decades is a misconception. A single month's exposure can result in mesothelioma 20-50 years later. This is a fast-acting problem that requires a fast-acting solution. Experts believe first responders on September 11th may be at increased risk of developing mesothelioma in the future; research into the disease's treatment helps improve these heroes' odds of survival.